Hybrids employ an aluminum skeletal structure with wooden wings and wood necks. 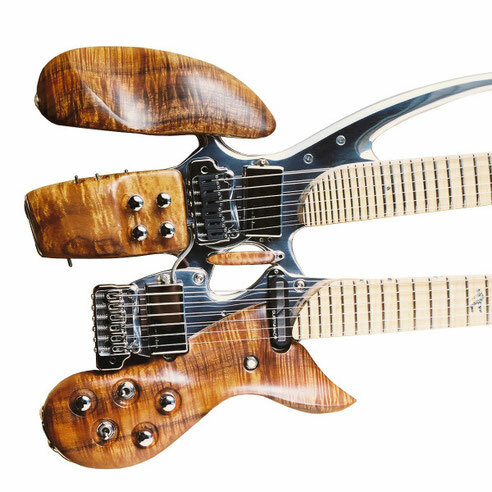 These instruments embody my sculptural approach to guitar/bass building - they are stripped-down to the ergonomic essentials. The wood neck dials in the tonal color and is comfortable to play. The aluminum imparts a warm tone and clarity to the sound. All metal and wood work is done by hand.